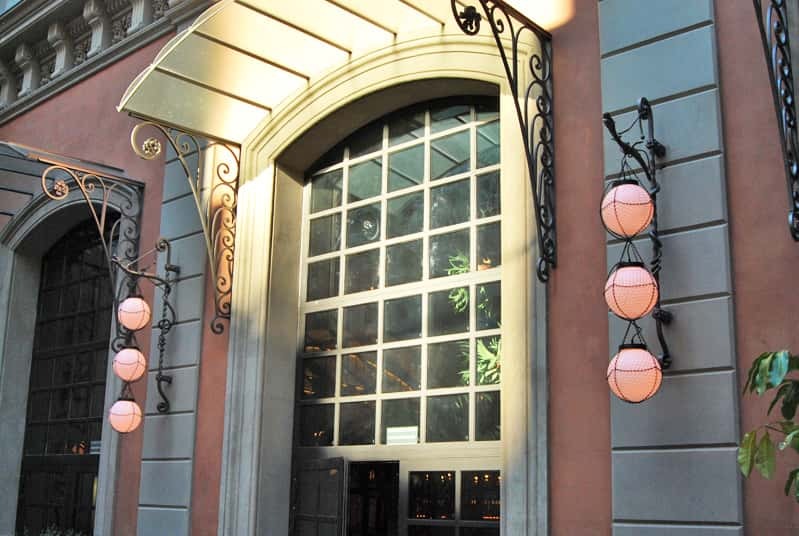 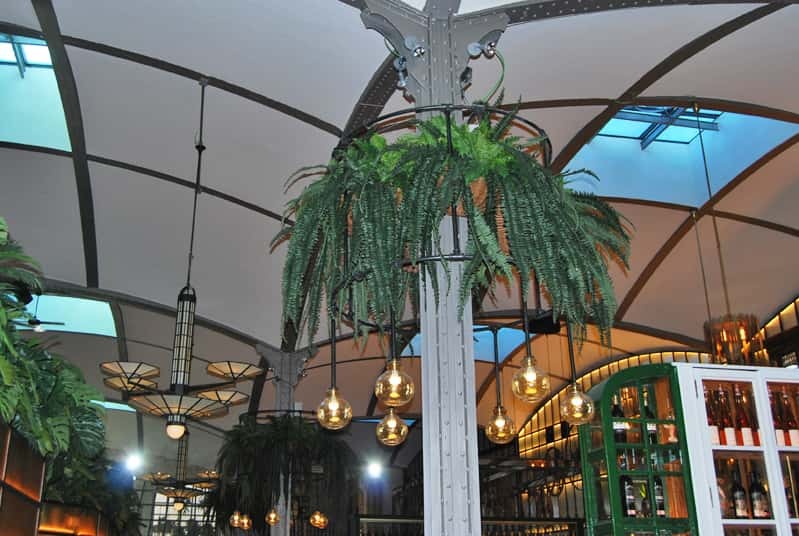 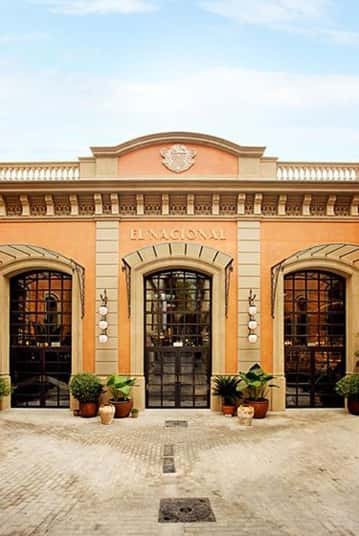 Located in the famous Passeig de Gracia of Barcelona, a historic building that reflects the industrial architecture and design of the late nineteenth century. 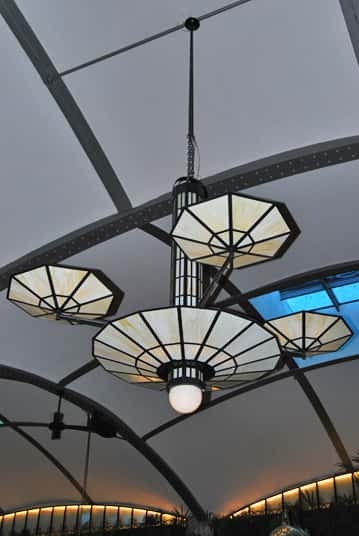 It was used as a theatre and car dealership until after the Civil War, where it started to be used as a garage. 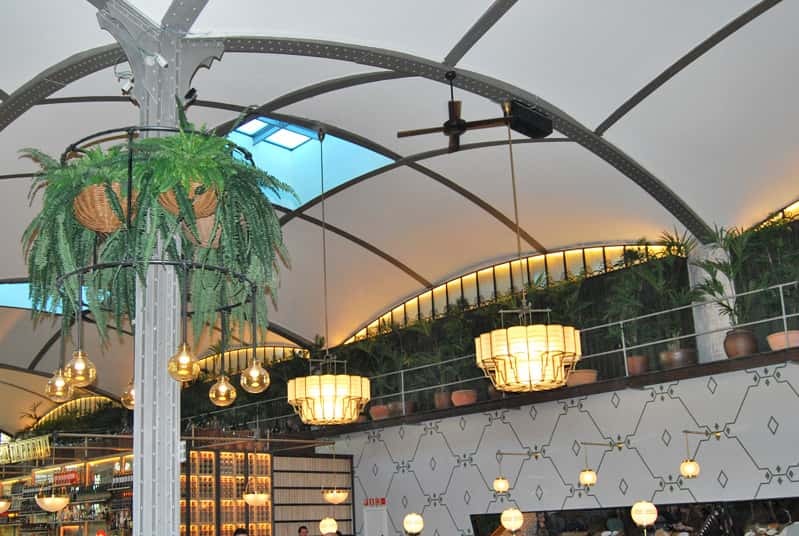 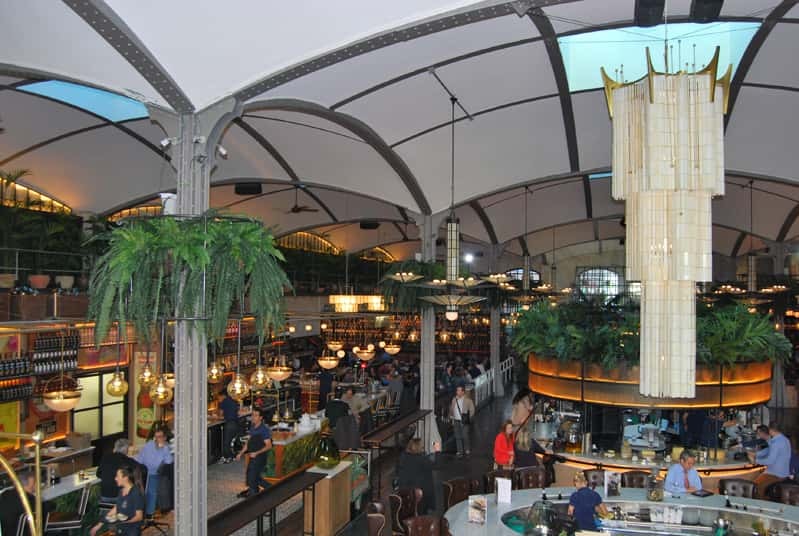 It was the studio of Lázaro Rosa-Violán who was in charge of bringing life back into that old garage and turning it into a gastronomic multi-space that reflected the social and cultural life of Barcelona, without losing the historical touch that characterises the emblematic building. 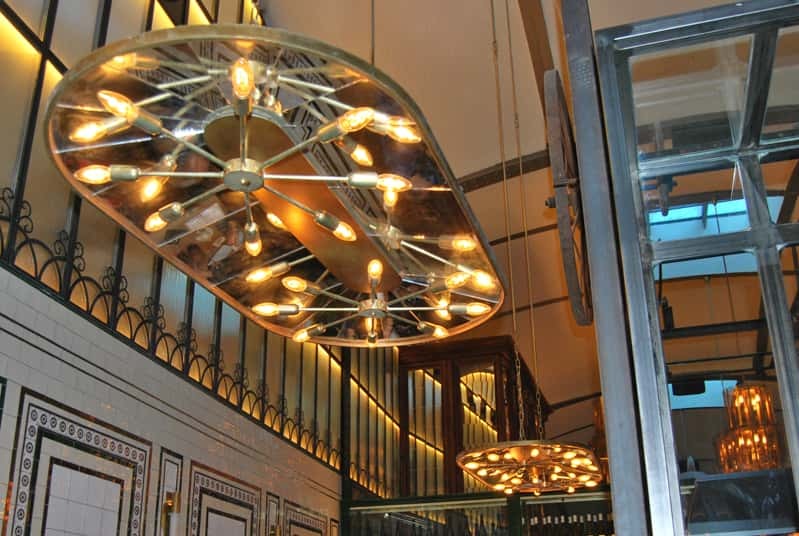 In “La Llotja”, specialising in seafood and fish dishes, we covered the dining area with some vintage inspired panels, with a circular structure of aged brass and a star in the center and a pebble bulb. 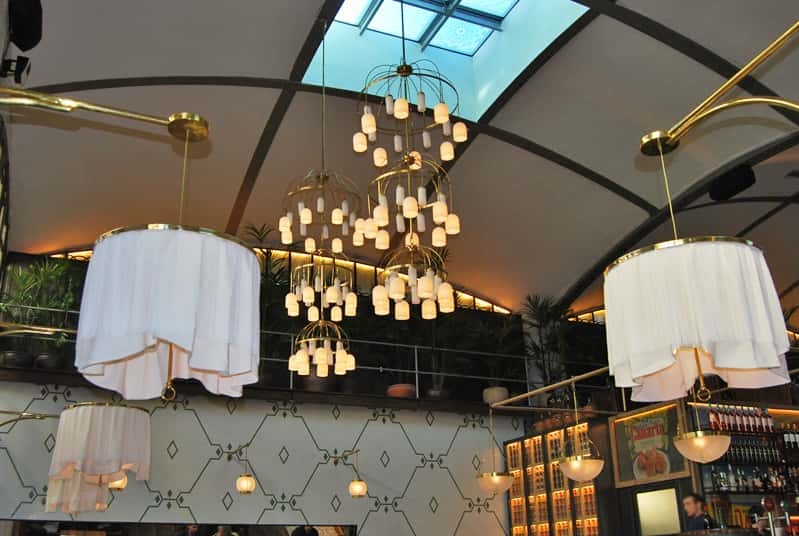 We complemented the lighting with some extensible appliances with white screens. 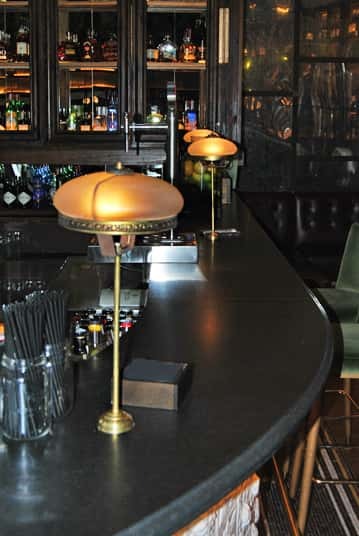 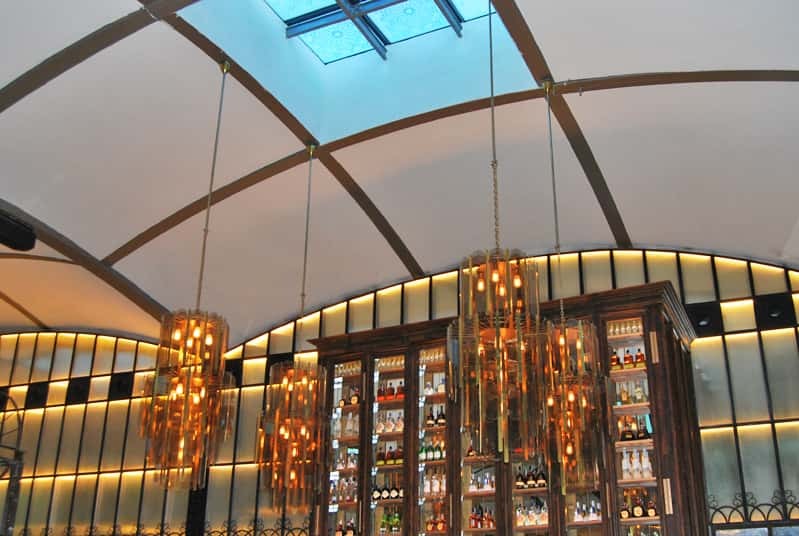 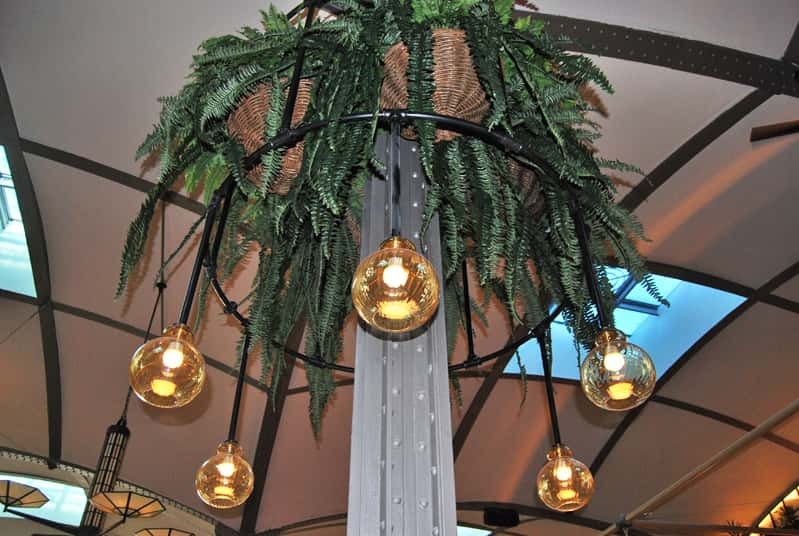 For one of the beverages and assortments bars, we manufactured luxurious hanging lamps with four circles of different sizes on posts made with very thin sheets of a semitransparent brown colour that let in a very warm light. 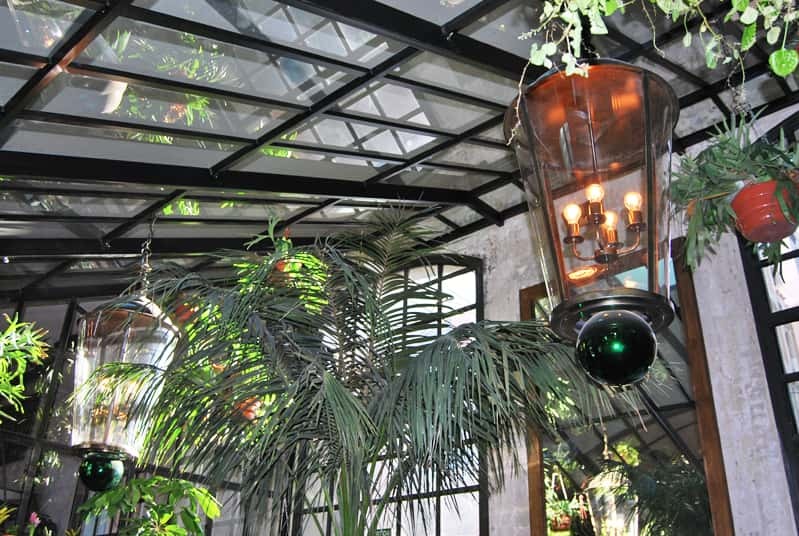 Around the circles, other thin sheets of vertical glass hang. 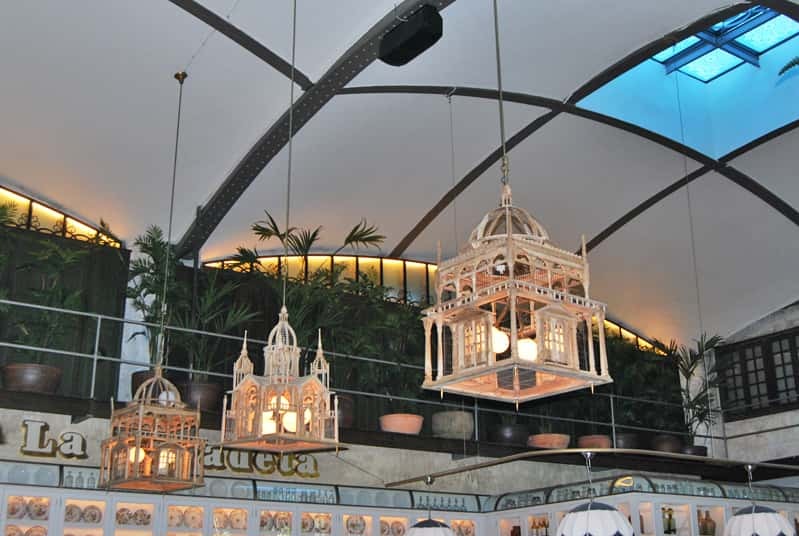 In “La Paradeta” we highlight the small hanging lamps in the form of small bright palaces. 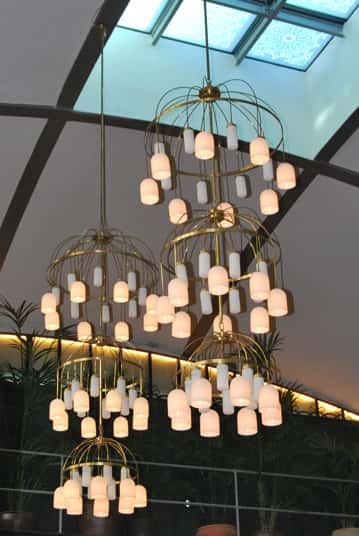 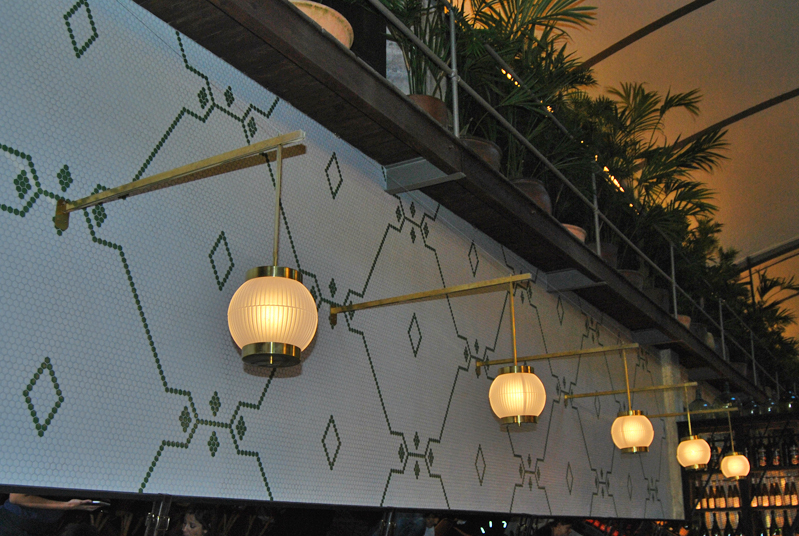 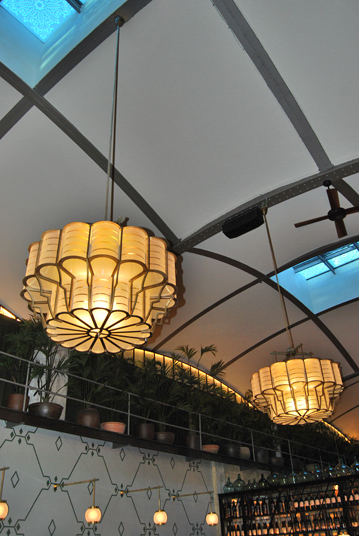 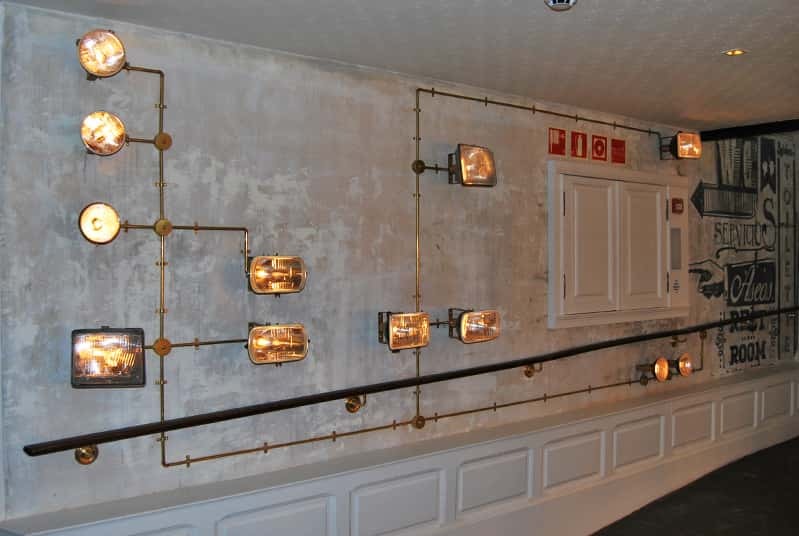 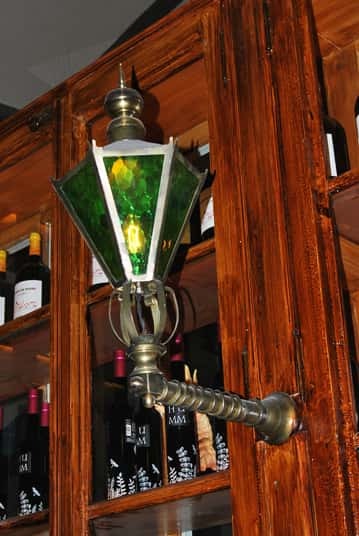 Other contributions made by Dajor to this project have been: different ball lamps, ceiling and wall lamps, table lamps, green lanterns, wall lamps for “La Brasería” and pendants with lampshades and various tulips for the rest of the areas.